Get the details on how to master this vital Class. This Westie video will help you learn why Medics are so important and how to be the best medical care provider possible in Battlefield™ V.
The main job of a Medic is to keep their squad and team healed up and in the fight, and they’re well-equipped to do just that. 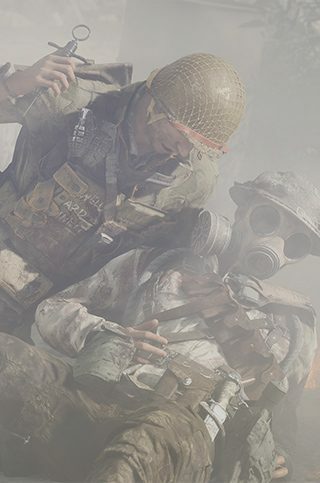 Aside from dispensing bandages or their trusty Revive Syringe, they also come equipped with an SMG and pistol (great for clearing an area long enough to heal up a buddy), and a Smoke Grenade Rifle (giving you perfect soft cover to help a friendly downed soldier who’s out in the open). The newly introduced Combat Roles help you tailor and refine your Medic to suit your playstyle and your team’s needs in the field. Field Medic gives you both Healer and Swift Effort, allowing you to gain more Requisition Points and sprint faster toward wounded teammates. The second unlockable Combat Role is Combat Medic, which gives you access to both Melee Expert and Emergency Retreat. The first increases your range with melee weapons and the second helps you make a clean getaway when your health is at critical levels. You can learn more about the Medic Class and healing here. Have some more questions? Find your answers on our Battlefield V Boot Camp page.